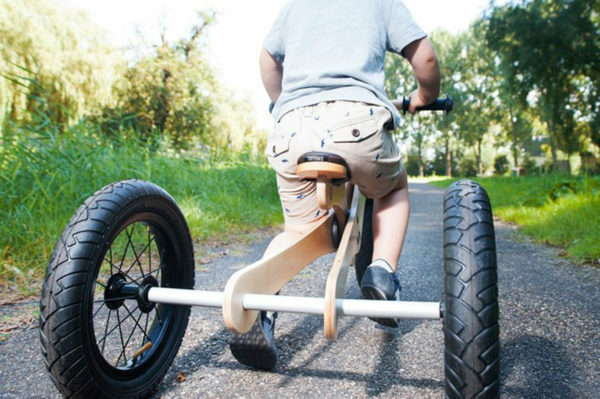 A bike which grows with your child? Sign us up! 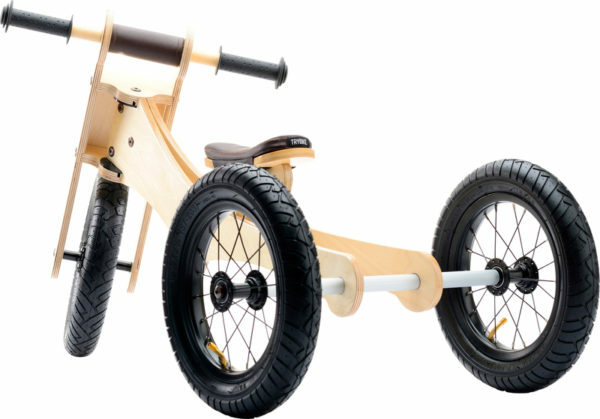 From three wheels to two, the Trybike suits all stages of riding for your balance bike bandit! Trybike is a brilliant choice for your little one’s first set of wheels – and not a ride they’ll grow out of quickly, making it awesome value for money. In trike mode, it’s a great start for tots as young as 12 months who are keen to get on the move. Raise the seat to the highest position for older kids who have balance issues or just want to have some fun on three wheels. In balance bike mode, younger and older kids aged up to around five years old can run and ride to their heart’s content. Designed for endless days of riding fun, the Trybike is a quality build. Made with a marine birch plywood frame and steel tyre rims for durability, while pneumatic tyres, a cushioned seat cover and chin guard make for a comfy ride. 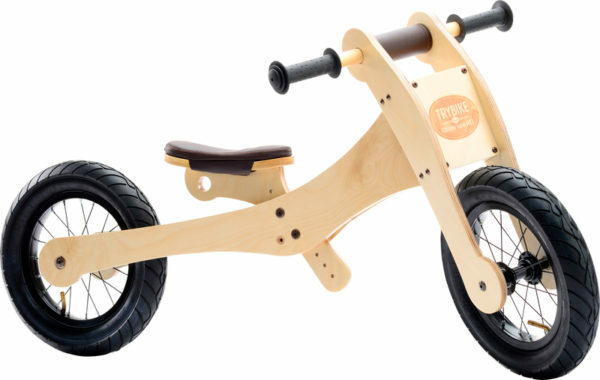 Choose from brown or pink trim, the Trybike is available from Lime Tree Kids, priced $278.95.